What is Fibromyalgia and What Can Be Done? Fibromyalgia is a complex disorder. It is complex because different systems of the body are affected, and treatments need to be both comprehensive and specific. Fibromyalgia overlaps with other diseases such as chronic fatigue syndrome, which shares many of its characteristics. The patient usually has general fatigue, and due to pain, may be impaired in their capacity to work. Fibromyalgia literally means “painful muscles and tendons,” and patients experience pain in multiple body sites. They may have low back pain, neck pain, headaches, and painful knees. Not every patient will have the same painful areas but all patients will suffer multiple painful sites. Because of this widespread pain, it is thought that there is a central cause in many patients such as hormone or brain regulation. Cortisol, a stress hormone, can be elevated in many patients. 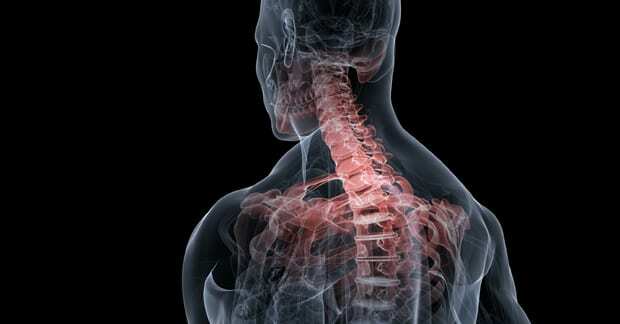 Many patients also show problems at local (called peripheral) areas, such as the spine. They may also have a history of injury to these areas and may have suffered sprains and strains. When these problems occur, the patient may not be able to function as before. They may be unable to do work or engage in physical activities. This can then create a downward spiral because it is movement that most fibromyalgia patients lack. When one does not exercise, spinal pain can become more severe. It is well known that prolonged bed rest actually increases low back pain. By addressing painful disorders of the spine and joints through chiropractic care, the patient can then re-engage in activities. Specific exercises can then be prescribed to counter muscle weaknesses and injured areas. Because diet can be so important to overall well being and healing, it needs to be addressed in any comprehensive fibromyalgia treatment program. Many patients have poor diets and many more are also overweight and obese. Certain foods can actually promote more inflammation, which generally means more pain. There are dietary approaches that can decrease the promotion of inflammation. Eating excessive calories and too little exercise means more weight gain and stress on our joints, which usually causes more pain. Patients also need to consider psychological factors such as depression, which can compound the physical problems. Even if the patient is not clinically depressed, chronic pain will alter mood and their motivation to work or exercise. A positive mental attitude is important to adhering to a comprehensive treatment program. The patient is not passive and is instead an active participant in their recovery. By approaching diet, exercise, spinal health, and other physical and psychological factors, the patient may be more able to decrease some of their fibromyalgia symptoms. Because the symptoms are widespread, a comprehensive treatment program will be the approach that will most likely succeed.